The history of mayonnaise is rather confused, with some backing the view that it was invented by the French in 1756 and others subscribing to the idea that it was created by the Spanish, date unknown. But there's agreement, reports David Merritt Johns in slate.com, that it was the French who brought mayonnaise to prominence in the ​early 19th century when it became popular across Europe in recipe books that featured French cuisine. By the late 19th century, it had taken America by storm, reports Johns, and was a central ingredient of the famous Waldorf salad, as well as potato and tomato salads. Lots of people love mayonnaise, but for some reason, many people think it is hard to make, even intimidating. If you have a handheld blender (often called a stick blender), it could not be easier. Give it a whiz. This mayonnaise is especially fantastic with homemade french fries that have been sprinkled with flaked sea salt and just a touch of white wine vinegar. In fact, mayonnaise is the condiment of choice for fries in the Netherlands. In a narrow, tall cylinder, like the one that comes with a stick blender, combine the sunflower oil, egg, lemon juice, white wine vinegar, mustard, and salt. Place the stick blender all the way into the cylinder and turn it on. Within a few minutes, the sauce will emulsify into thick, white mayonnaise. Add more oil if you prefer it thicker. Chill immediately in the refrigerator. Homemade mayonnaise should be stored in the fridge in a jar with a tight lid and should be eaten within just a few days since it does not contain the preservatives that are found in store-bought mayonnaise. 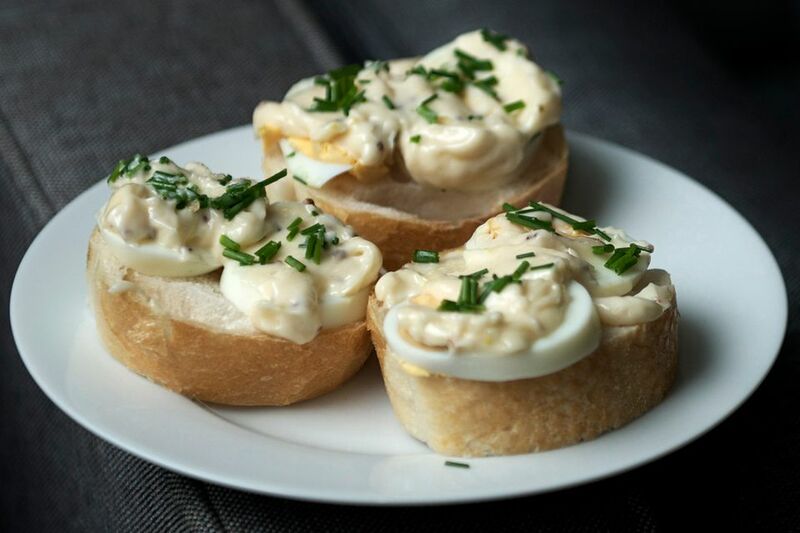 This is a raw egg mayonnaise recipe, and it is not advised for the old, young, pregnant, or otherwise immunologically challenged. Using organic eggs is said to reduce the risk of salmonella poisoning significantly. You can also use pasteurized eggs to reduce risk. For a variation of this traditional Dutch recipe, add garlic and extra virgin olive oil, and you'll get aioli.